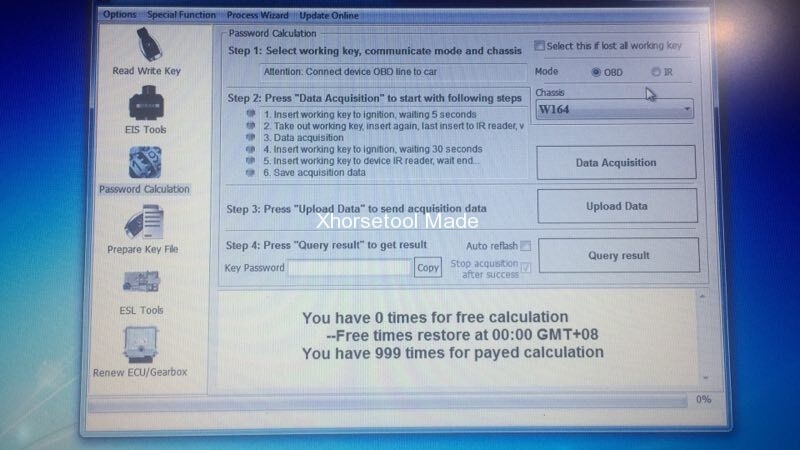 Purpose: VVDI MB Tool calculate password without token limitation. Where: xhorsetool.com offers 1-Year & No-Token-Limitation for VVDI MB BGA Tool Password Calculation. Security: No soldering, safe method. Key: Support BGA keys and other NEC keys, NEC v51, v57 keys. Upload saved acquisition data to server for calculate password. A: After successfully add tokens, start your vvdi mb software, and click on “Password Calculation”. The token number will be displayed. Now,it shows 0 times for calculation.If successfully add,it will display the tokens you pay.